CHRONOS historians travel to the past to observe history as it happens. But Saul Rand isn't content with simply observing. His plan: reshape history by creating a new religion and then stop anyone by any means necessary who doesn't fall into line. In The CHRONOS Files, seventeen-year-old Kate travels through time to retrieve CHRONOS keys before they fall into the hands of Saul and his Cyrists, all while trying to tread through the past without erasing the memories of those she loves or her entire existence. 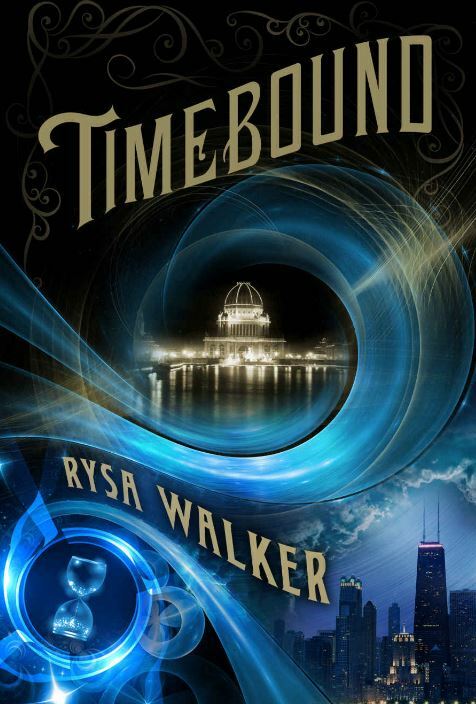 Timebound begins with Kate learning about her ability to time travel, her evil grandfather, and meeting a mysterious young man whom she seems to have kissed quite passionately in a wheatfield. When the timeline suddenly shifts and erases her parents, Kate finds help from a kind student at the school, Trey, and sort-of-accidentally draws him into the whole time traveling secret and head-over-heels in love with her. More Cyrists churches pop up with every time shift, bringing their "end times" warning all that much closer to fruition. To complicate matters, Kate's missing aunt Prudence appears in the church's propaganda as a fertility goddess, and Kate's a dead-ringer for her time-traveling aunt. Rysa Walker weaves together an immersive story where one misstep can mean erasing yourself from existence. The more Kate investigates Saul's end-time plans, the further ahead he and his ubiquitous Cyrus organization get, and the more she and her friends realize there is no perfect timeline where they all live happily ever after. Rysa's beautiful characterization leaves us questioning the meaning of our true selves. Is it possible to fall in love all over again? How much is our experiences and choices--the ones of our current timeline? Timeline conundrums turn every character into their own doppelganger as older versions of characters pop in whenever they want to contradict their younger selves, and each time shift brings mind-bending double-memories of re-written events.